What cures colds, flu, sore throats, sore muscles, headaches, stomach aches, diarrhea, menstrual cramps, hangovers, back pain, jaw pain, tennis elbow, blisters, acne and colic, costs nothing, has no weird side effects and doesn’t require a prescription? Plain old-fashioned time. But it’s often the hardest medicine for patients to take. “Most people’s bodies and immune systems are wonderful in terms of handling things—if people can be patient,” says Ted Epperly, a family physician in Boise, Idaho, and president of the American Academy of Family Physicians. And while temporary relief from symptoms is nothing to sneeze at, it adds up to a considerable amount of spending: $5.4 billion annually on cough and cold remedies, $2.7 billion on headache remedies and $411 million on chest rubs and other analgesics, according to Nielsen Co. Americans also spend an estimated $1 billion on unnecessary antibiotics that don’t even relieve the symptoms of viral infections, and contribute to antibiotic resistance. But some patients are so insistent on getting antibiotics that doctors give in. “I have colleagues who say, ‘You can take this pill and get better in two days, or do nothing and get over it in 48 hours,’ ” says Dr. Scalettar. Even H1N1, or swine flu, for all the uproar, almost always resolves in a few days with no treatment. The Centers for Disease Control and Prevention is urging physicians to use Tamiflu, an antiviral medication, sparingly to prevent shortages and avoid antiviral resistance. Only people who are hospitalized or at high risk for complications should get Tamiflu, according to the CDC. The list of “self limiting” maladies—those that require no outside treatment—range from minor annoyances to what might appear to be more serious musculoskeletal problems. “Muscle aches and pain, minor traumas, sprains and strains typically do not need to be seen by a doctor,” says Dr. Epperly, who recommends his organization’s Web site, www.FamilyDoctor.org, as a resource to look up symptoms and health concerns. “Nausea, vomiting and diarrhea are typically time-limited. People will start to see improvement in two or three days—just watch that you’re not throwing up blood,” he says. If so, call your doctor. Almost all viral infections resolve on their own, unless you have a compromised immune system. As a rule of thumb, Dr. Epperly says, infections in the nose, throat, stomach and upper respiratory tract tend to be viral. Infections elsewhere in the body are likely to be caused by bacteria, and those can get worse without antibiotics. About 80% of urinary-tract infections resolve on their own, for example, but about 20% develop into more serious kidney or blood infections. And even if they don’t, the symptoms can be very uncomfortable. Some chronic maladies follow predictable courses, according to many medical experts ,whether or not they are treated. Colic is almost always gone in four months. Some 70% of acne is gone three to four years after it first appears. “Frozen shoulder”—a painful restriction of the shoulder joint—is typically painful for three to six months and stiff for the next four to six months, and resolves completely after one to three more months. Temporomandibular joint (TMJ) pain tends to go away by itself in 18 months. Sciatica resolves on its own in three weeks in 75% of cases. For all the misery it causes, 80% to 90% of back pain resolves with only “conservative measures” (which include anti-inflammatory drugs, rest, heat, physical therapy and chiropractic treatments). “Sometimes it take days to weeks, sometimes it takes weeks to months, but pain lasts more than three months in only about 10% of cases,” says Michael J. Yaszemski, chief of orthopedic spine surgery at the Mayo Clinic in Rochester, Minn. Whether to operate even in those remaining cases is controversial, he says. With acute lumbar disc herniation, studies have found that two and five years later, there’s little difference between patients who had surgery and those who did not. But surgery can sometimes provide relief faster. “There are those patients who feel they just can’t wait—like Joe Montana,” says Dr. Yaszemski of the former San Francisco 49ers quarterback, who made headlines when he returned to playing football just eight weeks after spinal surgery in 1986. “The longer you’ve known someone, the easier that conversation is,” Dr. Epperly adds. 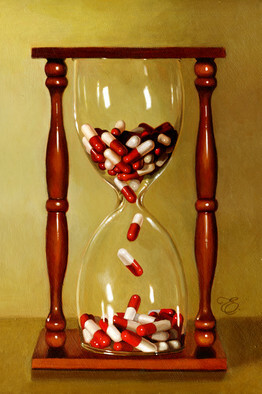 Indeed, applying what some call “a tincture of time” requires time on the doctor’s part as well. Explaining why a medication or CT scan or MRI isn’t necessary, or what signs to look for if an ailment isn’t getting better, often takes more time than writing a quick prescription. Crushing chest pains—the classic signs of a possible heart attack. Sudden numbness or weakness on one side of the body, confusion, trouble speaking or severe headache—which could indicate a stroke. Any major injury, especially involving loss of consciousness. Coughing up, throwing up or excreting blood. Flashing lights in your vision—which could be a detached retina. Inability to breath—which could be a severe allergic reaction. The bottom line: Don’t hesitate to call your doctor if you have persistent pain or a loss of function or anything unusual for you. It’s worthwhile to rule out something serious that does need medical attention. But if the doctor says you will get better on your own, that’s a powerful prescription itself.